What book would you want if you were stranded on a desert island? 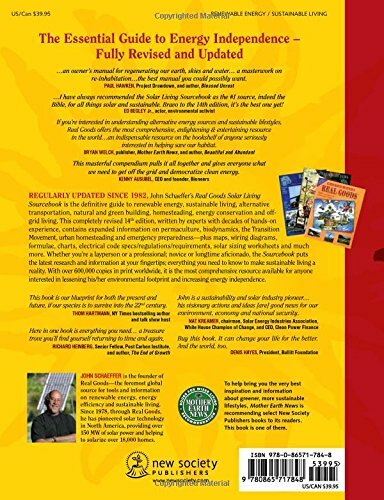 Widely regarded as the bible of off-grid living, Real Goods Solar Living Source Book might be your best choice. With over six hundred thousand copies in print worldwide, it is the most comprehensive resource available for anyone interested in lessening their environmental footprint or increasing their energy independence. Whether you're a layperson or a professional, novice or longtime aficionado, the Sourcebook puts the latest research and information at your fingertips—everything you need to know to make sustainable living a reality.